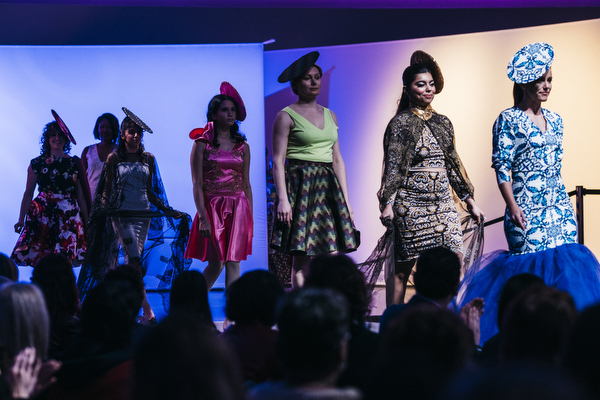 The automotive company highlighted innovative Detroit designers across disciplines in celebration of Women’s History Month. Panelists included Jen Guarino of the Industrial Sewing & Innovation Center and Shinola; Empowerment Planfounder Veronika Scott, creator of the convertible coat to backpack and sleeping bag made with recycled materials; Aki Choklat, College for Creative Studies chair of fashion accessories design; Sharon Gauci, GM executive director of industrial design; and Jim Coleman, a fashion designer and GM autonomous vehicle designer. Click HERE or the image to view the full article and highlights from the show! In fashion, beauty is in the eye of the beholder, but quality should never be a compromise. No matter what you're looking for, we guarantee durability. We are committed to providing you styles that are well-built and will last through the wear and tear of your day. Our goal is to put the "fun" in functional fashion. We know that looking stylish can make your whole day better; that's why we're committed to being your source for the newest trends. We design clothing and accessories you love so you can focus on looking great! Looking forward to seeing you at The Atelier! !